I confess to not being the most artistically creative person in the world. In fact, when the children were small, I would begin to draw an illustration for them and they would stop me, saying that they could do it themselves. In short, the concept of sculpting something out of a block of something is as foreign to me as is the thought that I would go out and fly an airplane tomorrow! I do, however, appreciate both the pilot and the artist! 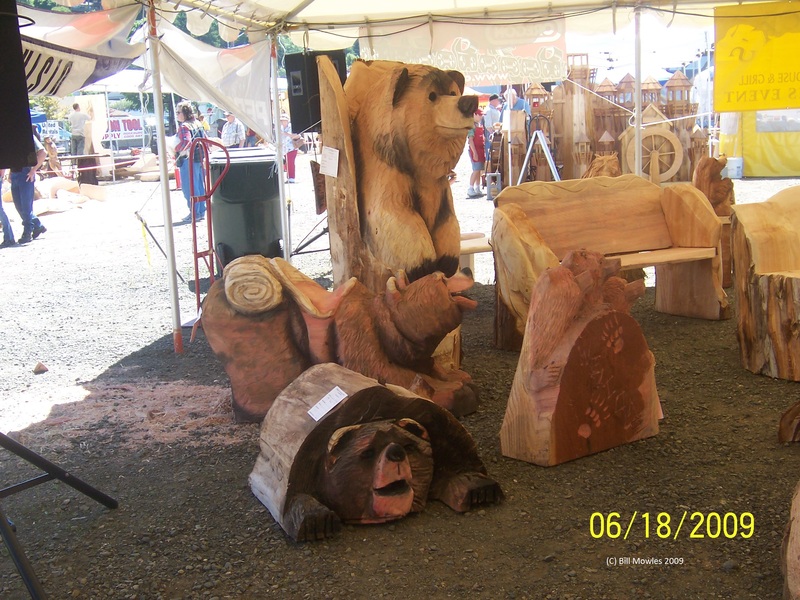 My husband and I were privileged to come across such artistic activity in Reedsport, Oregon where, quite by accident, we found an international chainsaw carving festival competition. As you might suspect from the subject, the tools used were chainsaws and the medium was wood – huge logs, more precisely! These logs were mammoth … at least 6 feet tall and who knows how wide. This is the stack left over as the competition had already begun when we took this picture. Now, to me, this is a sawed off tree. Perhaps I could make some firewood chunks that would fit into the fireplace to keep us warm during the winter, but that’s about it. Oh, you could also hang a squirrel feeder on it … that would make the woodland animals happy! But these folks had other ideas. LOTS of other ideas. I love the little bear that is under the wooden blanket; he captured my heart. If we had driven to Oregon, we would have carried him home with us. And some were monumental. 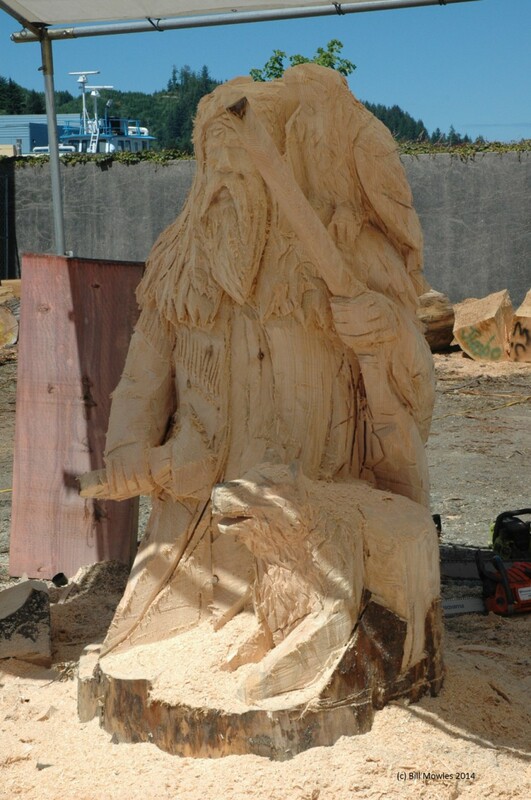 The mountain man was intricate and not yet completed when we took its picture. Having gifts that differ according to the grace given us, let us use them: if prophecy, in proportion to our faith; if service, in serving; the one who teaches, in his teaching; the one who exhorts, in his exhortation; the one who contributes, in generosity; the one who leads, with zeal; the one who does acts of mercy, with cheerfulness. While various gifts and talents are unique to each of us, each of them should be used for God’s glory – they are, after all, the gifts that He has provided to us. Left on our own, without the input of the Lord, we would not be able to do what Paul says in Romans as they are outside the normal scope of human nature; but I believe that even the creative gifts of art and sculpture are from Him. Surely, whatever our gifts and abilities might be, they are given their highest and best use when rendered in service and in honor of the Lord. May I appreciate the talents that others have and may I use the talents He has given me to glorify God, the Father, to whom all glory and honor is due. What talents do you have that could bring praise to the Lord? Thanks, Bill, for the addition. 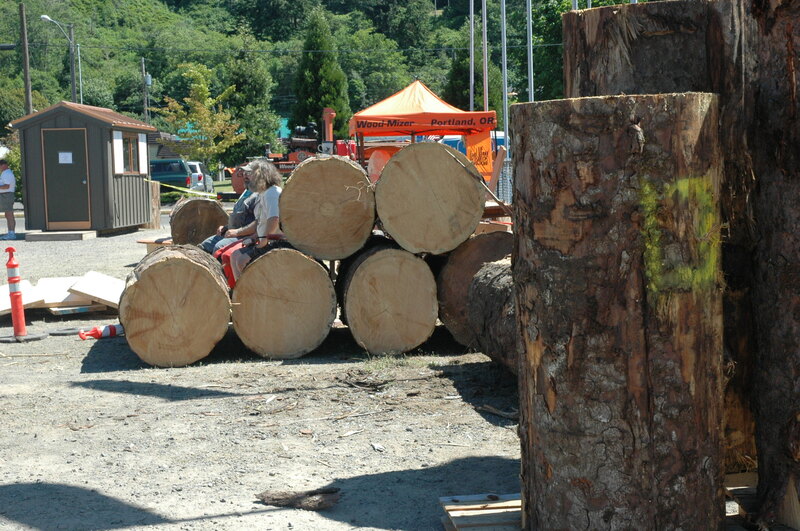 In fact, according to http://demo.jspicher.com/chainsaw/schedule.html the 2015 Chainsaw Festival will be held in June 2015 and its theme is the celebration of Oregon’s 150th anniversary of statehood. 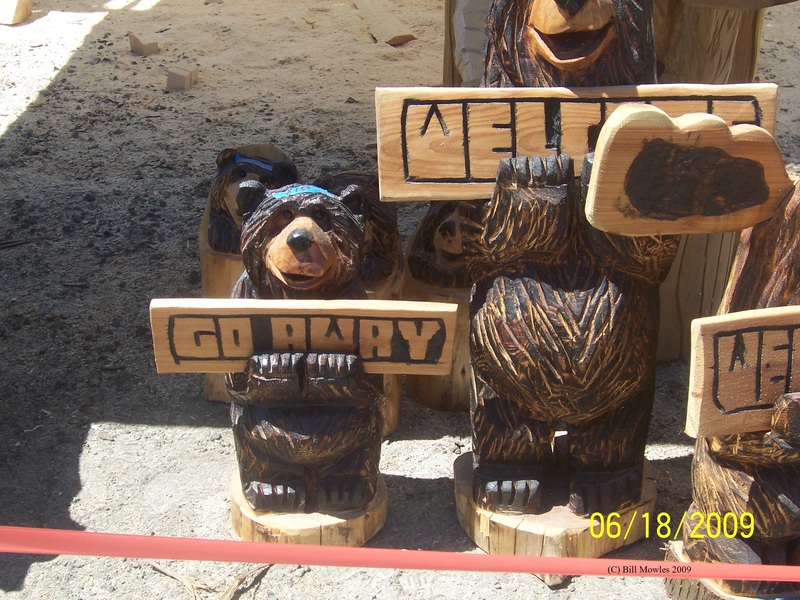 If you can find your way to Reedsport, Oregon, you will have an incredible experience watching the creation of sculptures using chainsaws! This was a truly serendipitous experience, and turned out to be one of the highlights of our drive up the coast! 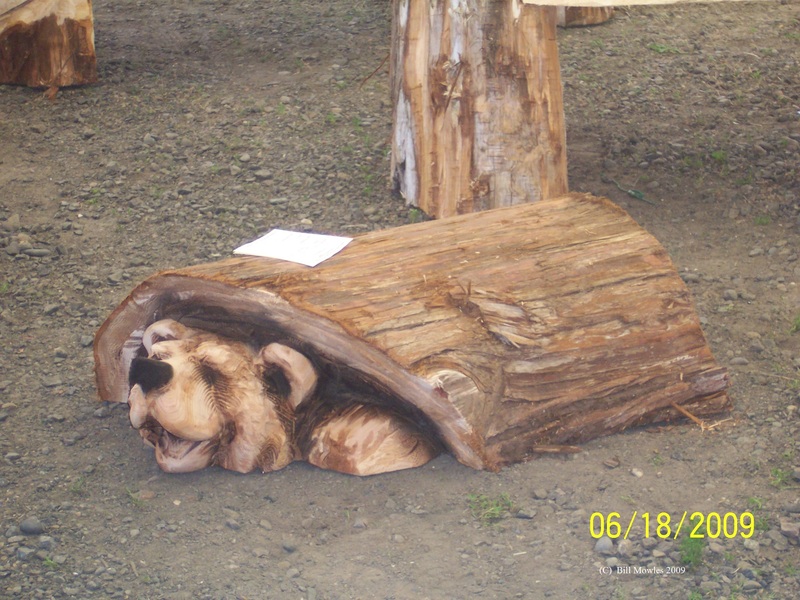 There were carvers from 4 continents and a father and son from right here in East Tennessee (Bybee), so I’ve got a feeling that someday that little bear could still end up peeking out of the log in our back yard!